Last updated 17 July 2018 . By Olivia Cheves. It's hot lads, it's real hot. It's so hot I think we can all agree that we'd like a hose down, or even just a little spritz...Yes, the summer is here and that means that all over the country people are backing their Aperol Spritzes like they're not, in fact, available all year round. But there are those for whom the Aperol Spritz is a thing to be cherished, the ones who dig the sesh-ability of a low ABV spirit and how it complements the mid-century Italian aesthetic they're rocking this season. To prove that the Aperol Spritz can go beyond its basic reputation, we've rounded up five unique bars that will provide the perfect backdrop to that perfect serve. 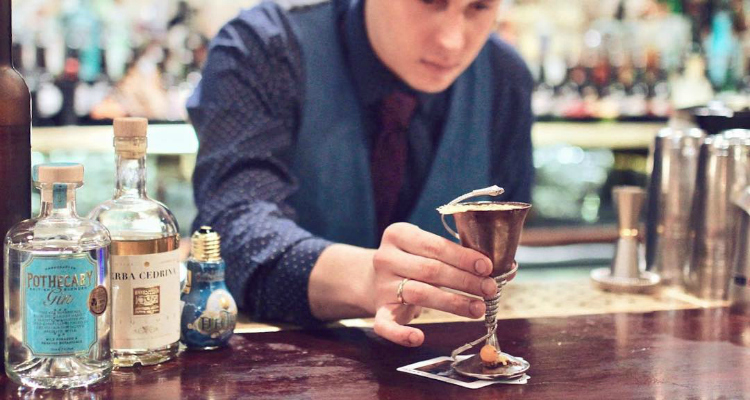 One of Old Street's most sought out drinking spots, this sultry cocktail bar on City Road will take you on a journey to the last century with its stylish jazz nights, candlelit tables and historical cocktails. The bartenders here are at the top of their game so you can rest assured they'll furnish you with one of the finest Aperol Spritzes in the East. Anything but basic, Nightjar is all about the moody lighting and moodier jazz. 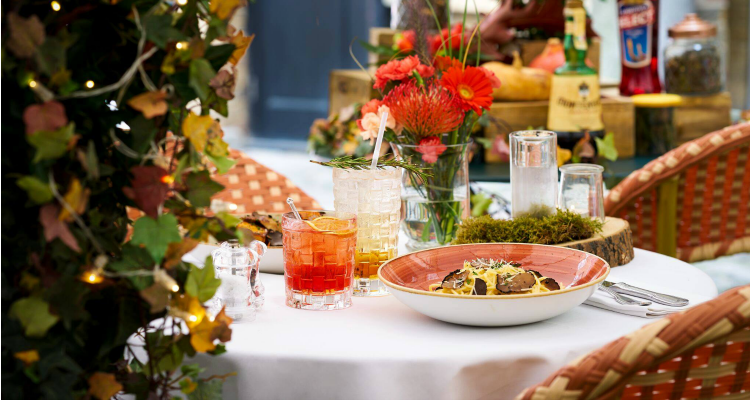 If it's Aperol al fresco you're looking for then this fun Fulham joint hosts one of the best pub gardens in the area, and they're not afraid to get a little wild in it. 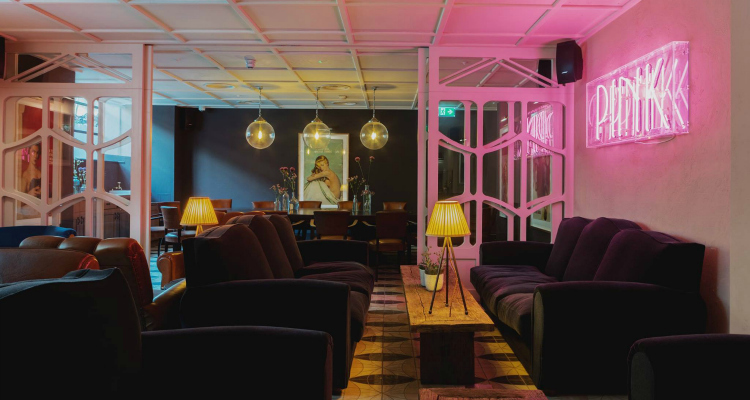 A bustling hub of entertainment, you can find everything from life drawing to drag queen comedy nights and DJ-fuelled fiestas at the King's Head. Head to the King's Head & Courtyard for Spritzes in their sprawling beer garden. A short sashay around the corner from Bond Street, this elegant brasserie is a dreamy location for a refreshing afternoon drink. A calm oasis in the heart of London's busy shopping district, Hush has had nearly 20 years to perfect its Aperol Spritz recipe and it's close to being a master of the craft. 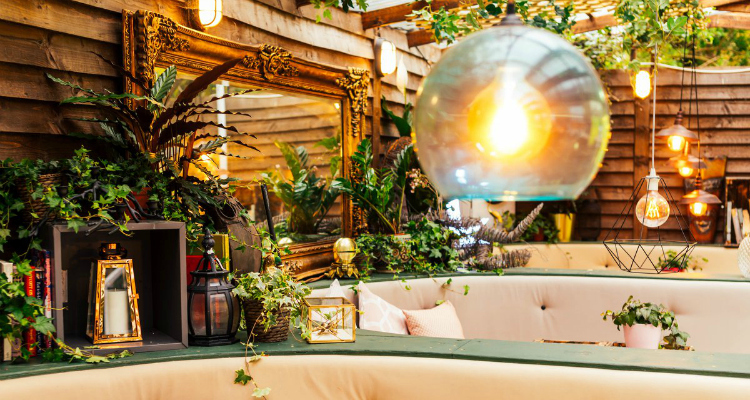 Currently playing host to slice of Mexican Paraiso in the courtyard, you can pair that bittersweet cocktail with some mouthwatering dishes and vibrant South American decor this summer. Tucked away in bustling Mayfair, Hush is the perfect city escape. 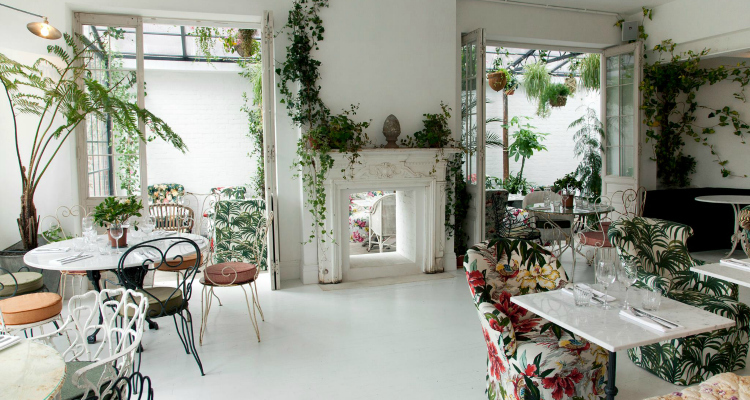 Decked out in vintage-inspired furniture and verdant plant-life, this restaurant and greenhouse near Exmouth Market is perfect for a mid-morning coffee, or indeed a mid-morning aperitif. Sip away in some of the freshest botanical surrounds in the city, and don't just plump for the spritz, if you're feeling particularly Aperol-happy, splash out on their La Dolce Vita for particularly boozy taste of summer. The interiors of Bourne & Hollingsworth are as fresh and lively as the Spritz itself. More than just a pretty face, this Battersea bar and restaurant brings character by the balloon glass. Never one to do things the old-fashioned way, it's interiors mix stripped-back industrial lines with high-flown flourishes and eye-grabbing fixtures. It extends the same playfulness to its Aperol Spritzes, which you can find spiked with a slick of grapefruit, or dressed up with fresh watermelon for a new take on a vintage classic. This gorgeous Battersea bar pumps as much charisma into its drinks as it does for its interiors.